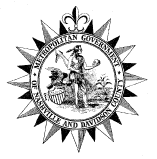 For several decades, Metropolitan Social Services (MSS) has provided a range of services to help Davidson County Tennessee residents who are in need, including: home delivered meals for seniors, indigent burial, homeless prevention and services, and planning and coordination (P&C). The P&C unit researches and publishes an annual Community Needs Evaluation – a data-based overview of current and anticipated social service needs based on trends in the community. Part of the community needs evaluation data is collected from a variety of customer and community surveys and evaluations. Before discovering Remark, staff manually tabulated survey data and performed simple analyses. In the last four years Lee’s department has surveyed over 4,000 Davidson County residents annually about what they think the social services needs are in seven issue areas. Each survey has eight multiple choice questions, zip code, and comments. They also do smaller internal surveys such as attendee evaluations of workshops, employee surveys, and more. Lee was tasked with finding an easy to use, affordable, and faster alternative for collecting and analyzing data from their surveys and evaluations.